Gleaston Castle is a hidden gem, tucked away near the village of Gleaston. Its origin and history is uncertain. Some historians believe it was built in the early 14th century as a response to the Scottish raids, while others claim it came decades later, as a status symbol for the Lord of the Manor. By the mid-1500s records describe the castle as a ruin. 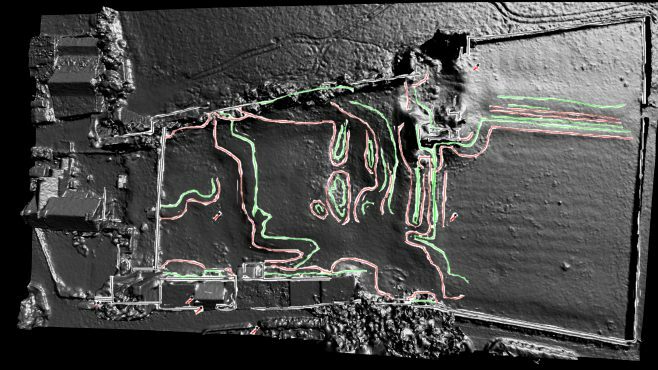 A geophysical survey provided the opportunity to build on discoveries made through an aerial survey, exploring the archaeological features buried beneath the ground. 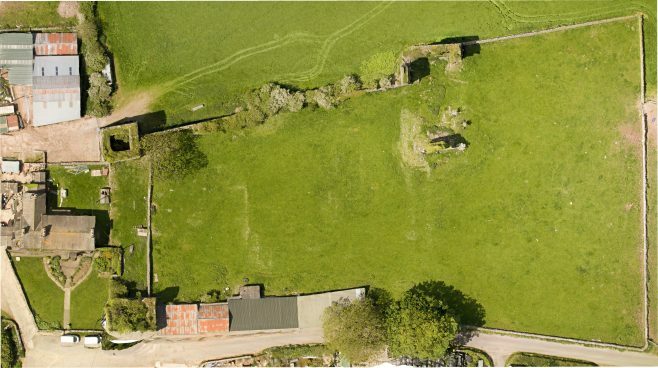 The latest high-tech aerial technology has been used to capture photographic data of a local Furness castle ruin, helping local historians understand and record this important site for future generations. Examination of the results revealed garden features, collapsed and now buried walls (including the remains of the curtain wall and north east tower), and evidence of possible structures within the courtyard. Detailed aerial photographs taken of the castle have provided a unique view of the site and highlighted features that can’t be seen with the naked eye. Over 600 overlapping images were used to create this 3D model and detailed photographs called orthophotos were taken of the towers and walls. 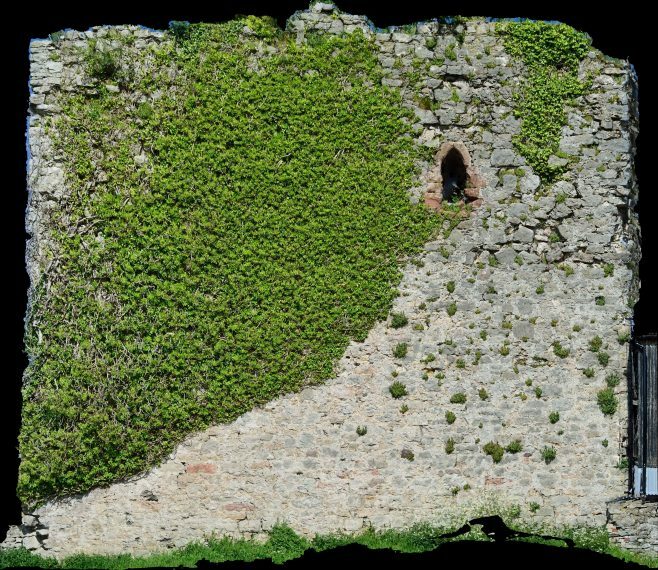 These helped to identify how the castle was first built and examine the damage caused by vegetation.